Hidden from plain sight, and thus more secure. 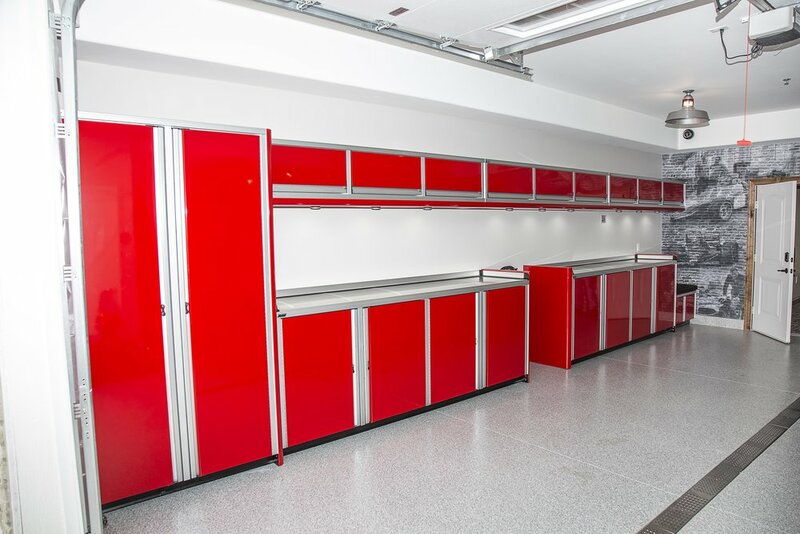 Kept in a storage unit that complements your space. MotionLatch drawers, for increased accessibility. Radius Corners, to prevent snags and provide a sleeker look. Adjustable Toe-Kicks, for cleaner installation on uneven surfaces. All-Aluminum Construction, making setup quick and easy without compromising strength. 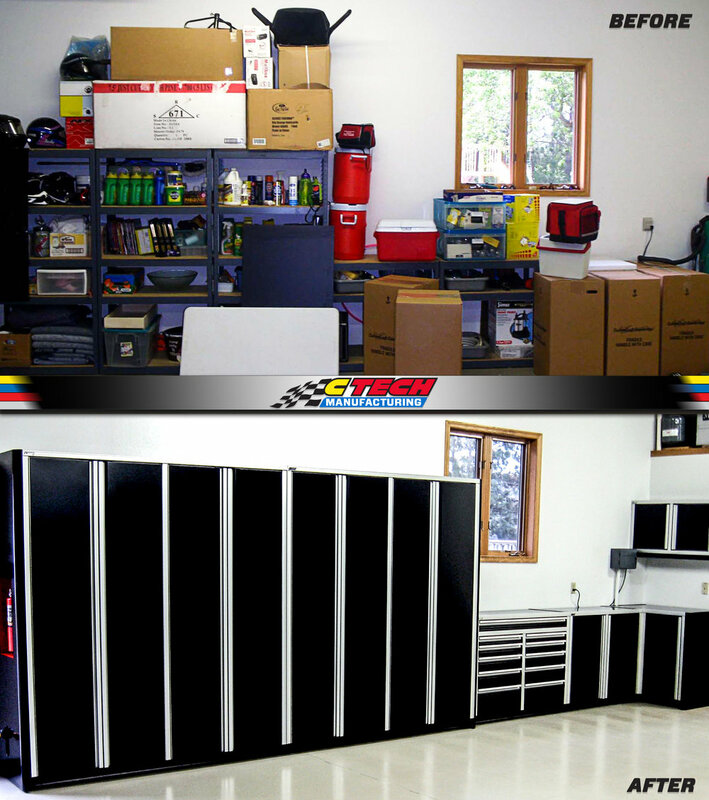 Spring is the perfect time to tackle a problem area in your home or garage, and with the help of trusted local dealers, CTECH can help you follow through with your very own transformation just like the examples below! No organization project is exactly alike, so having the support of a professional organizer is a luxury that’s often overlooked. If you prefer to DIY, there’s a wealth of information available right here on our website that will help you get started on your own project. We have a wide range of standard cabinet packages and modules that are ready to order, check them out in the “Product” and “Literature” areas. 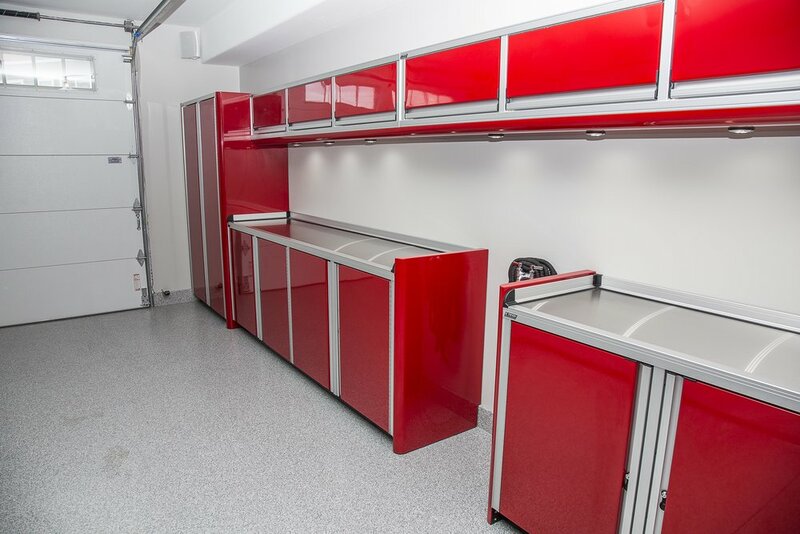 Measure the space in question, take your desired storage features into consideration, and turn your vision into a reality!